For a long time now, eCommerce businesses have been asking the same questions: What is the return on investment behind social media? Can it really drive sales to my online store? To some extent, these concerns arise due to the nature of social selling. It’s all about sharing and creating interesting posts without the direct sales pitch many businesses are used to delivering. Instead of “buy from my store,” now retailers have to be more subtle in their message and craft “engaging” posts. Is it a lot of work for little or no return? Social media platforms are aware of these concerns and have made it a point to create more direct sales solutions for eCommerce retailers. From new targeting options for social media ads, to buy buttons directly embedded in organic posts, they are doing everything they can to turn a simple like into a paying customer. This is also a battle among the platforms themselves since they know that the more results they drive, the more eCommerce businesses they’ll gain in their platform. Even with new social media platforms like Snapchat emerging daily, Facebook is still the main driver for eCommerce sales. It accounts for 38% of all eCommerce referrals, and it brings an average order value of $92.27. While reviewing the new ways social media platforms are using to embrace eCommerce, keep in mind that social selling demands a different marketing strategy than other types of online selling. Although there are many new tools available to speed up the journey from a like to a sale, it’s still necessary to follow key social media rules. Your marketing strategy should use a combination of direct selling tools with more traditional best practices, such as posting engaging content, telling a story, and showing a more personal side of the brand. Although it may not always translate to direct sales, social media should be a key component of your omnichannel strategy. Discover new ways to use it below. As you may already know, social media is increasingly becoming a pay to play channel. Platforms such as Facebook make recurrent updates to emphasize family and friends posts over branded posts, which makes it tough for brands to get organic reach. For example, a Facebook update done in 2015 worked to balance news feed content from family and friends vs. brands, which minimized the organic reach of businesses on Facebook. Use carousel ads to showcase multiple products. They can be shown as images or videos. If you’re looking to capture lead information, maybe to increase your newsletter list, consider using lead ads. For targeting, strengthen your strategy by combining behavior, interests, and demographics. Snapchat just released an ads manager feature for small businesses. Advertisers are able to create 2-minute videos to promote their brand. Sign up on their website to get started and choose your campaign objective: grow awareness, drive traffic to my website, or drive installs to app. Then, similarly to other platforms, you’ll be able to select targeting options and run your campaign. 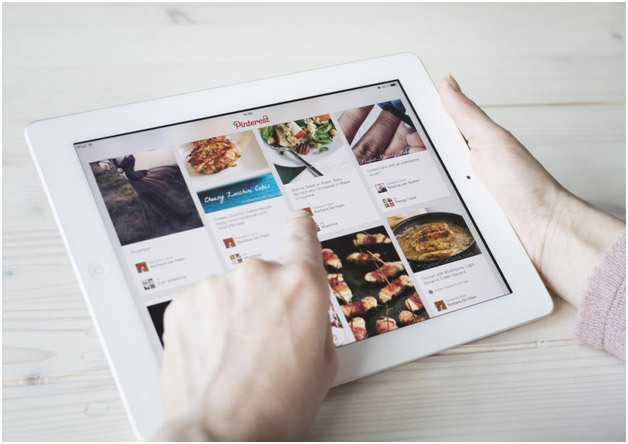 Like other social media platforms, Pinterest offers an ad manager capable of targeting an existing customer list, website visitors, and lookalike audiences. Advertising is great, but what about selling with organic posts? Platforms like Instagram didn’t allow shoppable organic posts until recently. Before this update, all businesses selling on Instagram had to guide users to the right featured products by updating their bio link or by mentioning the name of the product on their posts. In this way, users would be able to manually search the featured products on the site. Now, Instagram is rolling out Instagram shopping features for businesses that upload their product catalog to Facebook first. The new features work by tapping an image and showing pricing details. The nice part is that users can get multiple product information in the same photos. So, if an Instagram model is wearing a dress and a watch, users would be able to tap and get product information for the watch and the dress at the same time. Marketing Land states that during the test period, Instagram saw that, on average, 19% of the people who tapped to reveal the product information then proceeded to tap the link to the brand’s site. Thus, this feature seems to provide promising results. Pinterest is also offering new organic post options with selling features. Starting with their buyable pins launch, they have been shifting to a more eCommerce-focused platform. Buyable pins allow eCommerce retailers to showcase product pricing in blue and provide customers the option to add to bag and check out without leaving Pinterest. Additionally, Pinterest is experimenting with “Shop the Look,” a selling feature similar to Instagram. Regular image posts are not the only ones getting a selling makeover. Videos are also becoming powerful selling tools on social media. This is great news, considering that video is booming on social media and drives a great amount of engagement. Invodo reports that 92 percent of mobile video viewers share videos with others. This means that shoppable videos can have an even greater impact on conversions that regular images. As previously mentioned, now Snapchat is offering advertising features that include shoppable videos. This kind of advertising encourages people to “swipe up” as a call to action to shop. Users have the option of shopping without leaving Snapchat and advertisers are only allowed to promote 10-second videos. Instagram is also offering shoppable videos, thanks to their Instagram stories. Brands such as Birchbox, Dr. Brandt Skincare, and GoPro are testing a new shoppable video layer offered by video company MikMak. The company enables users to purchase branded products on Instagram Stories and Snap Ads with a single URL. One very interesting feature the company offers is the ability to keep items users have added to their carts, even if the user quits the session. In this way, brands can later remarket such users and show their added items if they go back to the site on a different time. Moreover, Instagram offers new, more advanced objectives such as traffic, video views, conversion, and mobile app installs. This is an effective update that can drive more conversions than the previous type of ads that just allowed views. Online shopping trends are always attempting to provide an easier and faster shopping experience. This quest comes from buyers’ demands to spend the least amount of time to find the products they need and get it as fast as possible. For these reasons, programs like subscriptions and Amazon Prime have been successful. 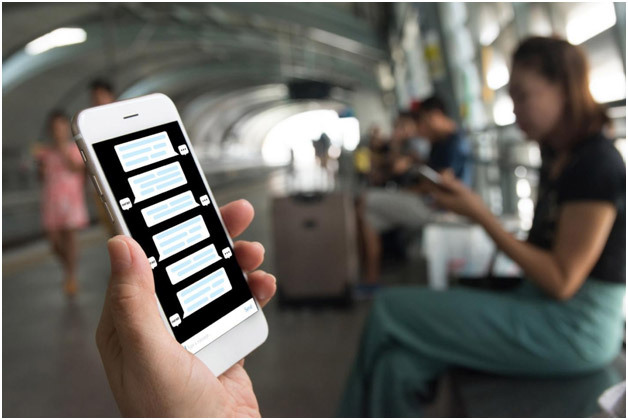 Now there’s another shopping trend that is increasing in popularity: conversational commerce. It refers to the intersection of message, voice interactions, and shopping. Instead of consumers visiting an eCommerce website and shopping without any help, conversational eCommerce allows buyers to have a more tailored experience. This kind of interaction can be enabled by the use of chatbots, voice personal assistants, or advanced notifications. For instance, 1-800 Flowers enables customers to place orders through their Facebook Messenger chatbot. Also, Kayak is using Messenger chatbots to make it easier for customers to find flights. So, a customer would ask a question like “Hey, I need to fly from Miami to NY,” and the chatbot will follow up with a series of questions to deliver a tailored response. Although customers know it’s an automated response, the idea of “talking to someone” provides a more pleasant shopping experience than shopping alone. We are social by nature, so the idea that someone has our back can be comforting. If you thought Facebook Messenger was advanced in the chatbot department, you may want to think twice. WeChat, one of the most important apps in China and boasting about 938 million monthly active users is particularly advanced in the conversational commerce department. You can do things such as buy movie tickets, send an order to Starbucks, or host a business conference. Voice assistants like Amazon Echo and Google Home are also providing a conversational commerce experience. Although it’s not so commonly used for shopping yet, the implications of an eCommerce world dictated by voice represent some interesting shifts in the way we do marketing today. Instead of regular SEO, will we have a special kind of voice SEO? How much would it be to advertise with voice personal assistants? Only time will tell.